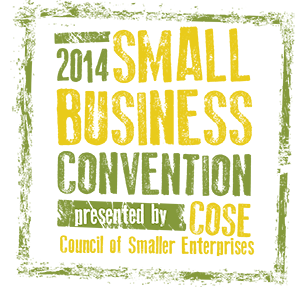 COSE is the nation’s largest small business support organization. With nearly 14,000 members, COSE is a major advocate and resource network for Northeast Ohio small businesses. If you’ve never been to a COSE convention, consider carving out October 22-24 to boost the heck out of your skill set, network and share ideas with hundreds of your business peers, find new vendors and clients, hear amazing keynote speakers. CPAs, attorneys and HR professionals can even get CE credit. COSE and its affiliated local chambers (including our favorite, Heights-Hillcrest Regional Chamber of Commerce) do an amazing job of serving quality content and fun to its members and convention attendees. Posted in Opportunities and tagged Business Education, WordPress training, workshops.